THE Indian Institute of Technology, Mandi, has got a grant of Rs 9.47 crore for a research project “Smart Agriculture Farmer Zone”, aiming at enhancing the production of crops to strengthen the economy of farmers. Timothy A Gonsalves, Director, IIT-Mandi, said the Rs 9.47-crore project was sanctioned by the Department of Agriculture, Cooperation & Farmers Welfare Ministry of Agriculture & Farmers Welfare, Government of India. 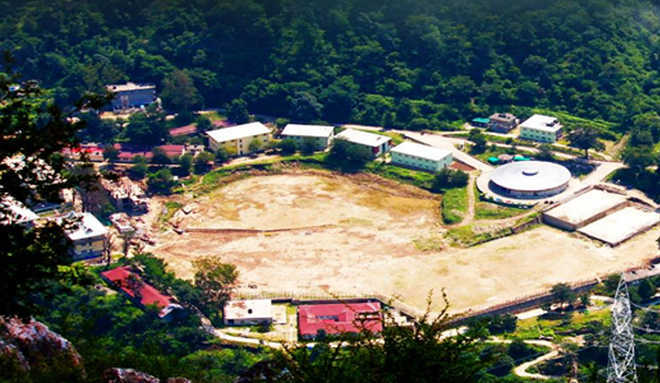 IIT Mandi’s share in the project is Rs 7.5 crore. IIT-Mandi is the lead institution, overseeing the integration of science, technology, innovation and farm ecosystem for effective agriculture decision making to address food scarcity and build a sustainable future in India. The project is being headed by Dr Srikant Srinivasan, School of Computing and Electrical Engineering (SCEE), and Dr Shayam, School of Basic Science, IIT-Mandi, in collaboration with several domestic and international partners from the United States and United Kingdom. The Director is the national coordinator for the execution of the project. He said under the project, 1,000 potato farmers were benefitting and information related to crop yield was sent to them through mobile apps. IIT-Mandi held a one-day tutorial programme on “Emerging Science and Technology” at its Kamand campus. The tutorial aimed at unravelling the various aspects of science and technology pertaining to sustainable development. It brought to the fore advanced computing techniques to understand and solve difficult computational problems, tools and techniques to improve agricultural practices, manufacturing processes, environment-friendly electric vehicles, nano-scale technologies for next generation systems and development of material and processes for environmental sustainability. Himachal Pradesh Science Congress was held at IIT-Mandi last month. The event was jointly organised by the Himachal Pradesh Council for Science, Technology, and Environment (HIMCOSTE) and IIT-Mandi on the theme “Rural Upliftment through Science and Technology Interventions”. A total of 211 students were conferred degrees during the sixth convocation of the Indian Institute of Technology, Mandi, recently. Around 29 PhD scholars, 11 MS, 28 MSc (chemistry), 11 MSc (mathematics), 20 MTech and 112 BTech students were honoured. The number of research scholars graduating this year has increased to 40 as compared to 31 last year.